As far as sewing machines are concerned, it is not very easy to handle them with a wide variety of options. However, you have to understand that the basic operation is the same with all machines. Hence, if you learn the basics for using a sewing machine, you can be able to deal with any sewing machine irrespective of its features. By knowing how to use a sewing machine, you can alter the clothing and can even create novel fashionable and personalized designs. If you know how to sew by hand, you will discover that you can perform the same tasks at faster rates by using a sewing machine. Moreover, you can produce professional and durable outputs out of it. 1. 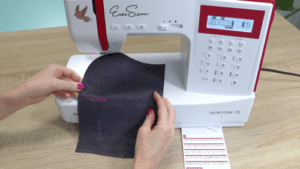 Understanding Your Sewing Machine: Well before getting started with your sewing machine, you must get to know everything about your sewing machine. For this, you will have to read the instruction manual that is accompanying with your sewing machine. This manual will provide you with detailed instructions about the features of your machine. They would also contain various illustrations that will make it easier for you to find the machine parts and controls. Besides, you can consult the various valuable sewing machine reviews to find about the ratings your machine has got from the customers. Spool Pins: This is a metallic prong which will be located at the top of your machine and will hold the main spool of the thread being used. If you could see a second pin, then it is for your spare spool. Bobbin Winder: This is a small silver colored metal which will enable you to use the machine to wind thread onto the bobbin. Power Switch: The power switch will be located at different places depending upon your machine and most commonly you can find this on the right side of machine. Bobbin Cover: This will be located on the throat plate and will enable you to insert, remove or change the bobbin. Thread Guide: This is a geometrical metal piece that will be sticking at the top of the machine on left side. Balance Wheel: This will be on the side and will help you to raise and lower the needle manually. Stitch Dial: This will help you to select the tension, stitch style and the length. Thread Lever: This is the lever which would come with two cut-in grooves and will be located on front left side of your machine. Presser Foot: This is ski-shaped and will hold the fabric in place. Needle Clamp: This serves to hold the needle in position. Feed Dogs: These are diagonal. The metallic teeth would pull the fabric through your sewing machine. Tension Regulator: The tension regulator would ensure the equal tension between main thread and bobbin thread. You must remember that all these parts will not be available in all the machines; however, the best sewing machine in the current market would carry almost all the features. 3. Preparation Your Machine for Sewing: In order to carry out a smooth and comfortable sewing, you have to prepare your sewing machine accordingly. You must place your sewing machine over a cabinet or table. Arrange in such a way that the needle is on the left and the body is on the right. Now, attach the foot pedal and plug your machine to the electrical outlet. Then, sit in a comfortable position. 4. Installation of Needle: The sewing machine needle would have been designed with a flat side and this flat side should face the rear side of the machine. Through the groove of this needle, the thread will travel. Soon after inserting the needle into your machine, you have to tighten the thumbscrew. It is to be noted that you have to use small needle plus thin thread for delicate fabrics and larger needle plus thick thread for dense fabrics. The installation of needle would be easy with the top line models. 5. Threading: Almost all the sewing machines would follow the general threading pattern and the machine’s configuration will determine whether threading is to be done from back, front, right or left. The instruction manual will provide you with this detail. After getting to know the direction, you must enter the thread through the needle groove. 6. Bobbin Winding: For the purpose of bobbin winding, you must use the wheel on the right side for dispensing a small amount of thread onto the bobbin. Now, close the bobbin winder. Then, turn on your machine and slowly depress the foot pedal. Once the bobbin is full the winder will get opened automatically in all the best sewing machine models. 7. Operating Your Sewing Machine: Now, select your desired stitch type and length from the in-built settings. Place your fabric on the throat plate and align its edges with hemline guide which are marked on the throat plate. Lower the presser foot in order to secure the fabric in right place. Then, depress the foot pedal (knee switch) slowly guide your fabric with one hand beneath the needle as your machine starts to sew. The other hand is to be used for tugging the loose thread to make entangled in the fabric. You must remember to use sufficient pressure for keeping the fabric straight. 8. Finishing Your Sewing Process: Once you done with stitching, raise the presser foot. The needle should be in raised position. Now, remove your fabric from the machine and cut the thread. 9. Other Option to Try Out: The good sewing machine will possesses more options than the ordinary models and you can try out some of them. 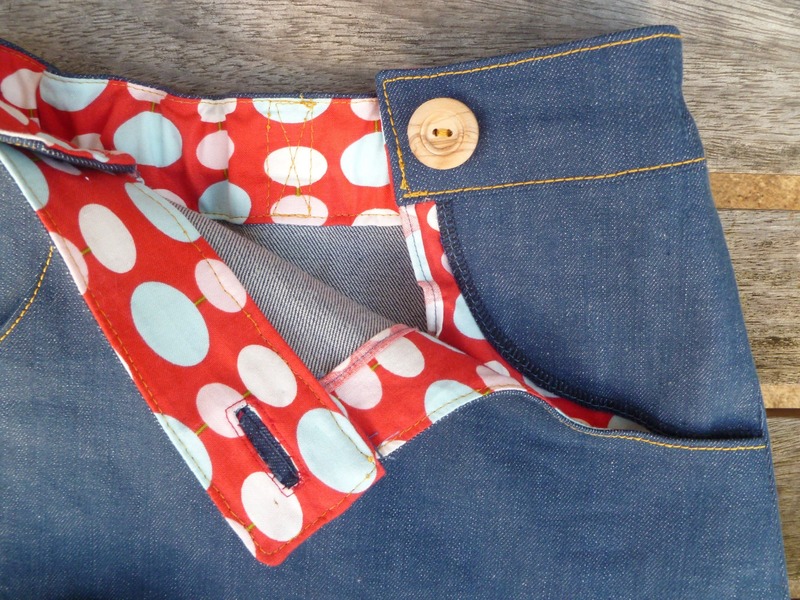 You can try using reverse button which would reverse the direction of sewing. By applying this, your fabric will travel towards you during sewing. This will save your time in a great manner. It is always better to know about the machine completely in order to bring the best products out of it. More than that, learning how to use the machine is far more important to make the best use of the invested money on the product. 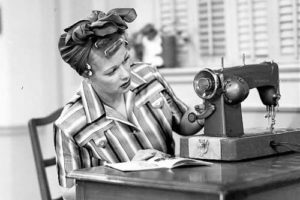 And, sewing with a sewing machine is not so difficult after learning how to use it.